Catapult Health is on the leading edge of healthcare and data management technology. Our technology platform is designed and built specifically for the efficient and accurate delivery of worksite preventive checkups in all 50 states. 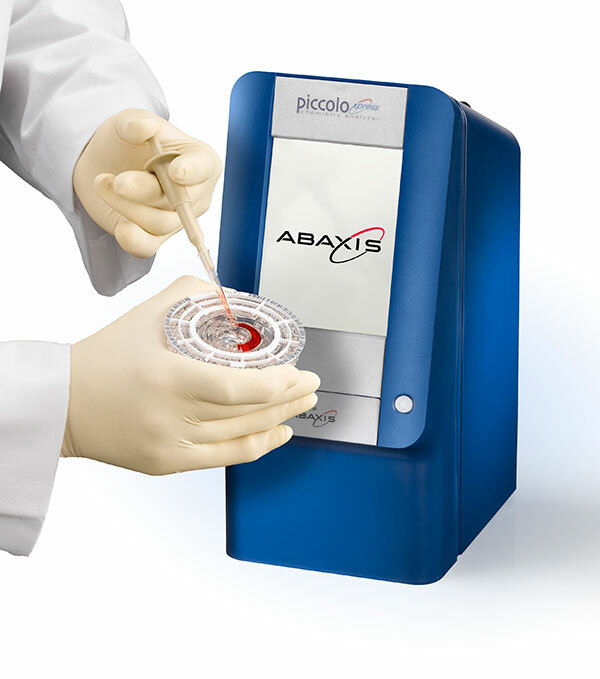 The Piccolo Xpress by Abaxis is a compact, portable clinical chemistry system designed for on-site patient testing. Roughly the size of a shoebox, Catapult Health Technicians use the Piccolo Xpress to perform a CLIA-waived blood chemistry panel including lipids, glucose and liver enzymes. Only 0.1cc of whole blood is needed and collected via a simple finger stick. The Piccolo Xpress self-calibrates with each run and the on-board continuous intelligent Quality Control (iQC) monitors the analyzer, reagent reactions and sample to ensure chemistry and instrument integrity. This assures the highest quality and accuracy in results. Results are ready in approximately 12 minutes. When compared to other point-of-care devices, the Piccolo is far superior. The best example of this can be found through the tri-annual proficiency testing surveys that are performed across the country by clinical laboratories. This data is publicly available on the Internet at https://www.api-pt.com/ (go to the “Participant Data Summaries” section). The Piccolo is certified by the Cholesterol Reference Method Laboratory Network (CRMLN) to perform at the highest levels for cholesterol testing accuracy and reproducibility. Additionally, the Piccolo is certified by the Clinical and Laboratory Standards Institute (CLSI), the Joint Commission on the Accreditation of Healthcare Organizations (JCAHO) and is in use by the Centers for Disease Control and Prevention (CDC), and is the standard of care for U.S Embassies around the globe. The Catapult Electronic Medical Record (C+EMR) – our proprietary hardware and software solution – captures all biometric and clinical data collected onsite. With lab-accurate blood analysis from the Abaxis Piccolo Xpress, the C+EMR generates a customized full color Personal Health Report (PHR) in English or Spanish for every patient, giving comprehensive feedback on biometrics and health risks, and laying out a clear action plan for improvement. At Catapult, we value data privacy and security above all else. We perform all data transmission over Secure Socket Layer (SSL) encrypted connections. All data we collect is encrypted twice: first when it is written to the database, and again at the operating system level. And our application hosting provider – a HIPAA-compliant, enterprise-level colocation services vendor – is the industry leader in secure data storage. 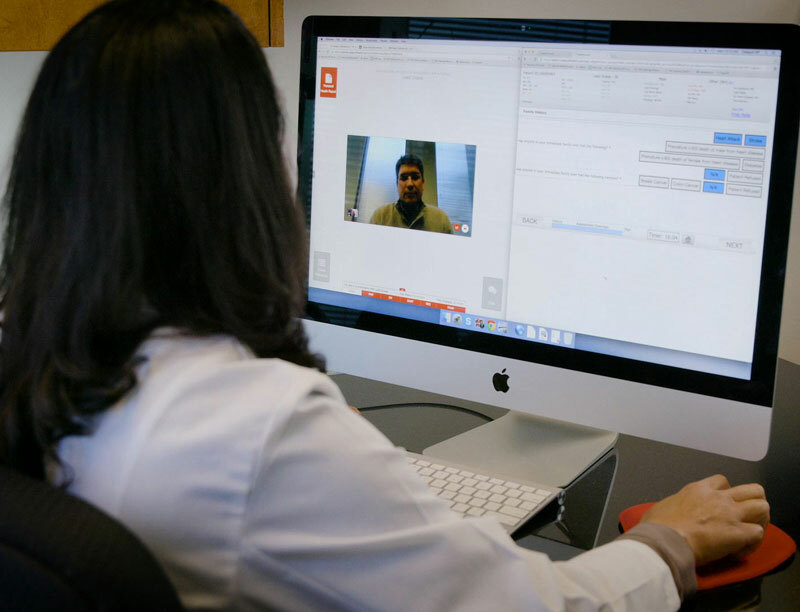 Our Nurse Practitioners consult with each patient via proprietary, secure video technology. This stable platform, enabled by redundant portable mi-fi systems, allows us to create a secure channel between the patient and our licensed Nurse Practitioners, regardless of the clinic location. Because our clinic teams travel to the clinic site with multiple mi-fi systems, we’re able to establish a connection without using the client’s wi-fi system or network. After each consult, the Personal Health Report is posted to a secure mobile-enabled patient portal, giving our patients immediate access, and control over, their results. In addition to the Personal Health Report, we post useful Clinical References and an audio recording of the action steps agreed to by the Nurse Practitioner and the patient. For those patients who use an iPhone, they also have the option of downloading their results to Apple Wallet.